A hot and thick fall evening did not stop crowds from enjoying a gallery full of youth inspired paintings, books and sculptures. The exhibit celebrated 19 diverse illustrators who contributed artwork inspired by children and their imaginations. “My daughter had so much fun when we came last month that we had to come again,” Los Angeles resident Mariel Ruelas said. She and her daughter, Violet Ruelas, 3, strolled through the gallery glancing at all the different art pieces displayed on the walls and tables. This display served as a tribute to the late children’s book author and illustrator, Leo Politi. He died at 86 in his Los Angeles home in 1996. Politi’s family donated the books and some artwork to be put on display for all to enjoy. Inside “Pedro: The Angel of Olvera Street” was a note from his son, Paul Leo Politi. Adjacent to the main gallery was a larger room equipped with a stage, rows of chairs and more walls full of artwork. Schaefer’s piece was the cover for “Zoo Zen,” a book about a little girl who wants to learn yoga from the animals at the zoo. Another unique piece came from former Utah resident Krissta Passanante. Her piece depicted a snail with an alarm clock embedded in its shell. Passanante had two other pieces on display with very distinctive styles. She said she likes to paint a little of every style to be a well-rounded artist. The artwork and a play put on by students from Pomona Unified School District were not the only entertainment offered for the night. 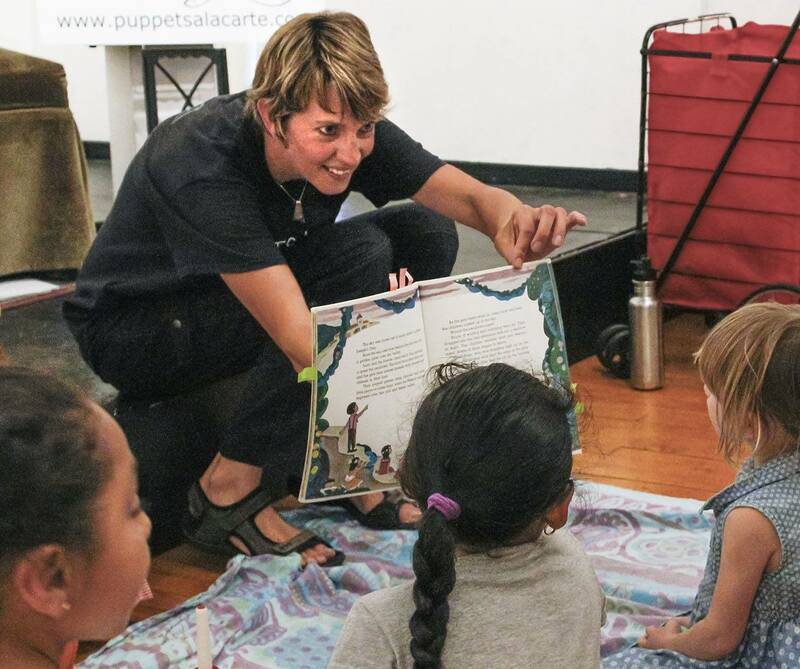 A puppet show by Puppets A La Carte, which is owned and run by Nicole Cloeren, was put on for parents and children of all ages. Cloeren said she is booked for more events at the dA Center in the coming months. The exhibit is open to the public every Wednesday through Sunday until Sept. 30. For more information on “Imagine II” and the gallery’s other exhibits, visit dacenter.org. Arturo Gomez Molina can be contacted at arturo.gomezmolina@laverne.edu.